thanks to the hard work of a committee led by George Stewart. 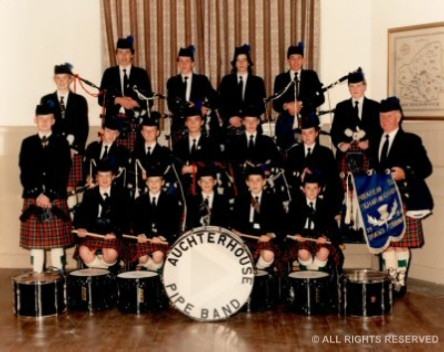 Once they got the basic meeting sorted out they had tuition help from me (Gordon Rogers) and Richard Smith of the Fintry Pipe Band. Eventually they were assisted in the drumming side of things by Mike Croft who was taught in Forfar Burgh but moved to Tayside Police. Front Row: Kirsty Duncan, Ian Hopkins, Athol Whitmore, ? ?, Grant. 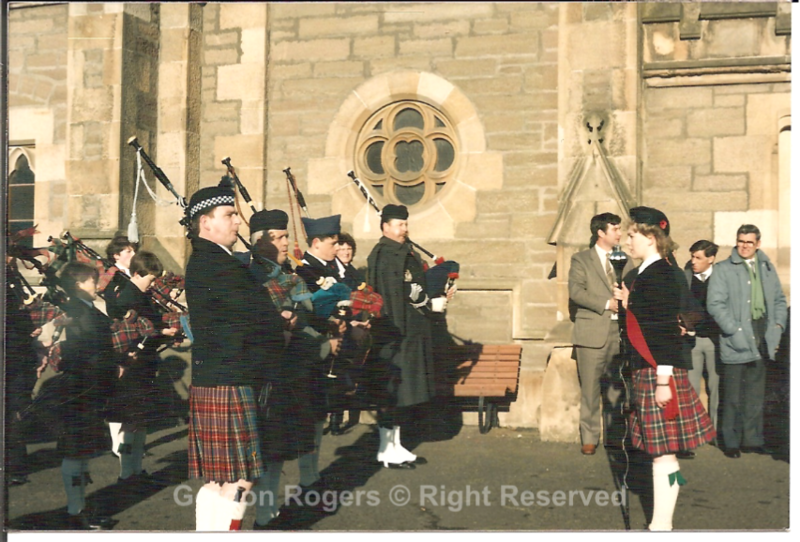 Here we have Auchterhouse at an early Remembrance parade at Lochee West Parish Church. 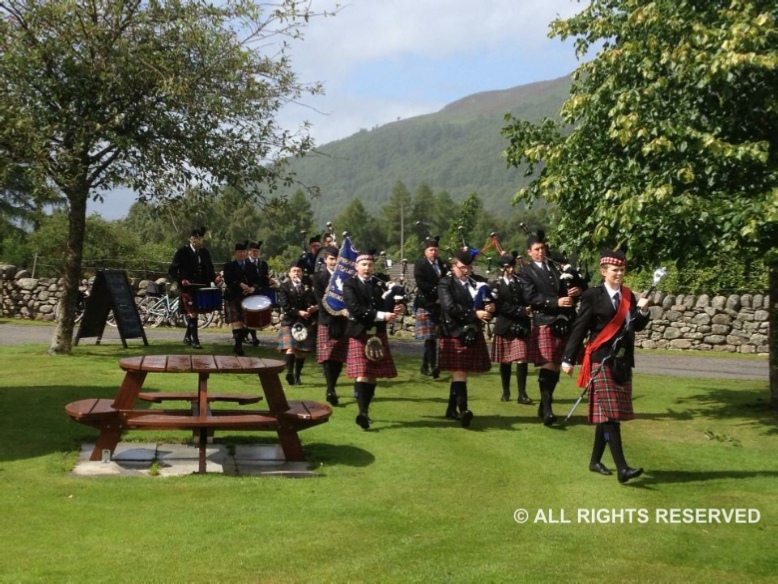 The front rank is flanked by Pipe Major (Fintry) Richard Smith at this side with Pipe Major (Tayside Police) Gordon Rogers at the far side. the 6th/8th B.B. at their own church parade. 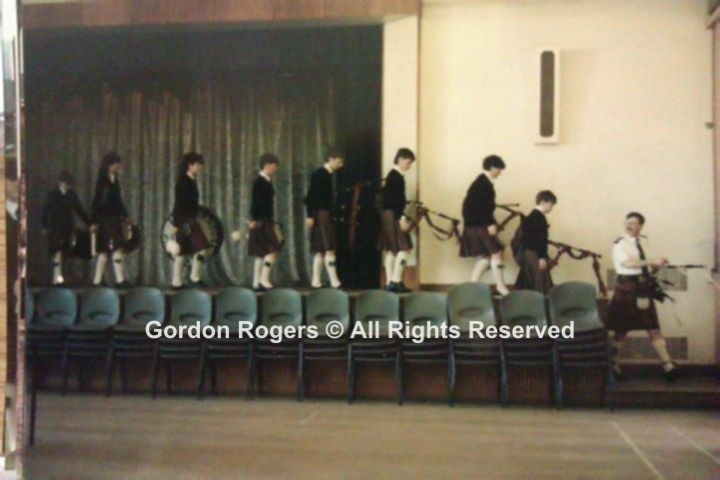 local Branch Championships with a first and third in the Mini Bands in 1986. In those days we had kilts and jerseys with little else. With me working shifts and Pipe Major of the Police band, change had to come. 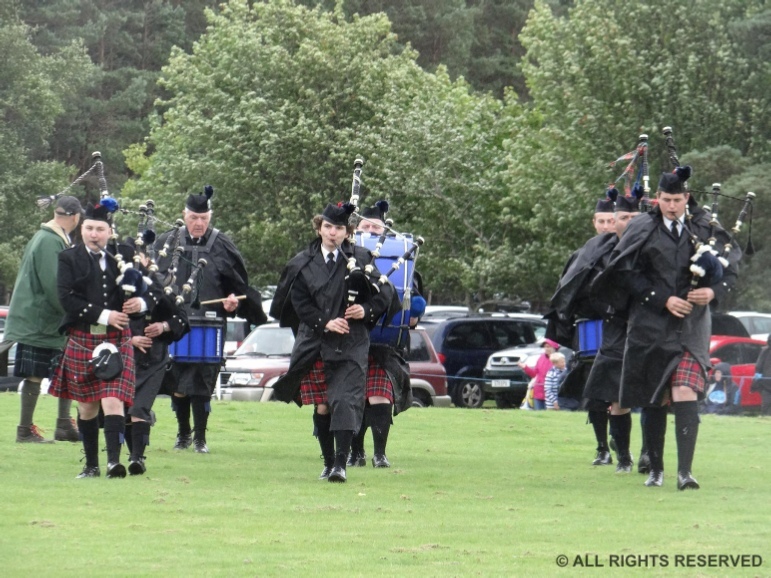 Fred Duncan decided to retire from the Police Pipe Band and was persuaded that his time could be well used as it would not be divided between two organisations.